In this season of spymasters co-authoring books, comes the launch of a ‘spymaster series’ by Amar Bhushan, former special secretary of the Research and Analysis Wing, who had, six years ago, written a thinly-disguised fictionalised account of the Rabinder Singh spy case and the manner in which the CIA had managed his escape to Florida, USA. Evidently to escape the risk of running into provisions of the Official Secrets Act, Bhushan has again chosen to fictionalise his racy narrative of twin tales set in the early Nineties around the functioning of the external intelligence agency’s Bangladesh desk in New Delhi and the unit located in Dhaka. The author has mentioned that the stories are soon to be used as plots for a film to be made by Vishal Bhardwaj. The spy tales are both “inspired by a true story”. While the first one is about a covert operation mounted in 1992-93 to immobilise targets of the Jamaat-e-Islami in Bangladesh, the other is about the dangerous liaison between the head of the agency’s Dhaka unit and a foreign office source who delivers invaluable secrets to Indian handlers before being discovered and almost killed. This story is also set in 1993. What is interesting for intelligence agency trackers is the subtext that runs through Bhushan’s spy stories — that despite such successes of covert operations and counter-intelligence coups, the RAW is run in an extremely hierarchical manner and that top officials are always looking over each other’s shoulders, and, if given a chance, into each other’s phone books in their effort to ingratiate themselves with the top bosses. Bhushan’s account gives a rare insight into the manner in which payments from secret service funds are requisitioned for foreign sources and how, back in the headquarters in New Delhi, the “salaries”, even for exceptional recruits, are cleared with a whimsical, knee-jerk attitude. In his preface, Bhushan, has in fact written critically about the work culture within RAW, describing it as a “claustrophobic working environment” by Vishwanath Reddy, a top official who figures as a key player in the book. The author has described how after the release of his first book, Escape to Nowhere, several former colleagues visited him and one “marvelled at my good fortune to survive in India’s external intelligence service, an agency that thrives on cronyism, mediocrity and arrogance.” Such officers and others who followed implored him to write about their travails and operational successes, and as a result, he received sufficient material on 39 operations conducted by the RAW. In the first, Vijay Shukla, the desk officer for the Bangladesh desk first mounts an audacious plan to hit 14 selected targets of the Jamaat but pushes back due to constant constraints of secret funds, and changes his plan mid-course. 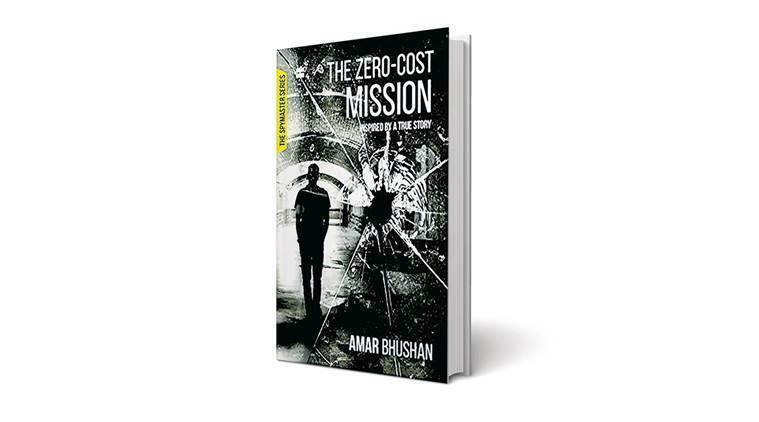 The strikes are eventually executed under the aegis of Mazhar, a leader of the People’s Front of Bangladesh, and since the operation is also funded by them, the story is titled ‘The Zero-Cost Mission’. After its success, Vijay is promptly selected for a foreign posting — obviously the most coveted reward within RAW — but a change of guard at the top brings much opprobrium for Vijay and Sujal Rath, the agent who had done much of the execution of the project. What is described as a “witch-hunt” follows, with Sujal blamed for running a “fake operation” that results in him being blacklisted for any foreign assignments. The second is a racy story titled ‘The Wily Agent’ and describes how Jeevnathan, who headed the agency’s unit in the Indian High Commission in Dhaka, runs and funds a Bangladesh foreign office agent named Rehman, who constantly pesters him for an increase in his monthly allowance fixed at $350 by New Delhi. The daredevilry and firewalls used by the RAW officers make for fascinating reading. Eventually, this operation, too, is doomed. Rehman is put under surveillance and caught out by Bangladeshi intelligence but the Indian officers remain unscathed. They officially sever all contacts with Rehman, who is subsequently arrested and booked. At the end, however, there is a hint that Jeevnathan secretly bailed out his source through personal funds.